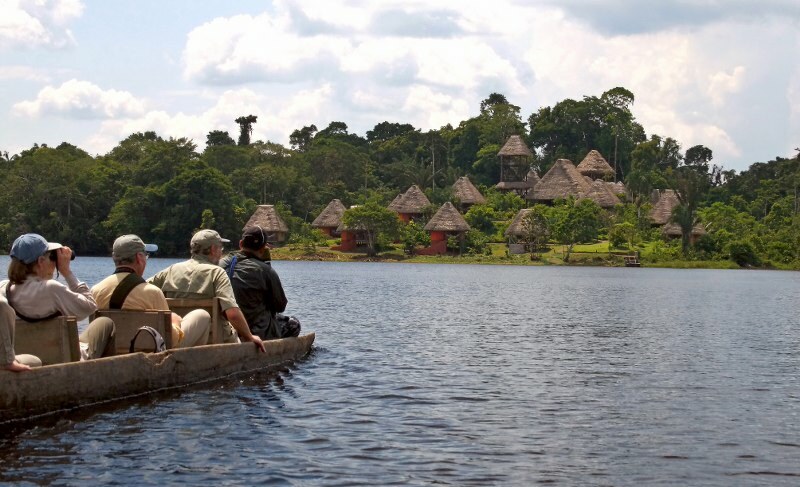 The lodge is located by the Anangucocha Lake, within the unique ancestral territory of the Añangu Quichua Community, part of the Yasuni National Park. 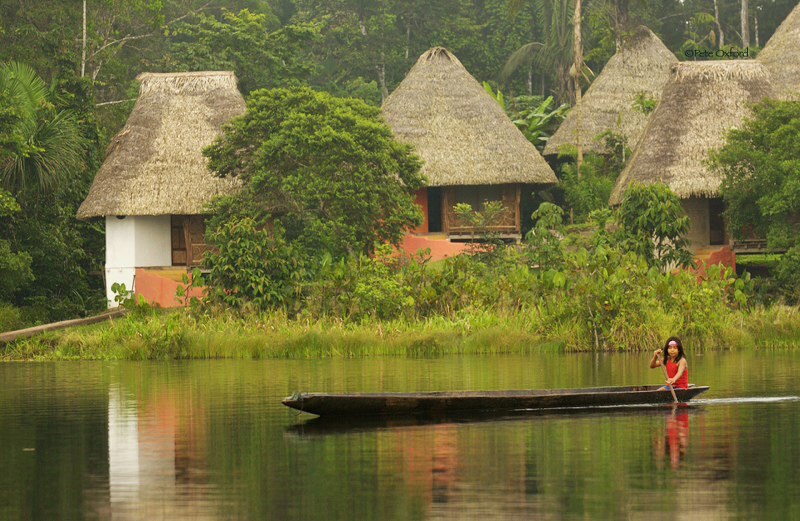 Visitors have to fly from Quito to Coca, a town on the Napo River to get to Napo Wildlife Center. 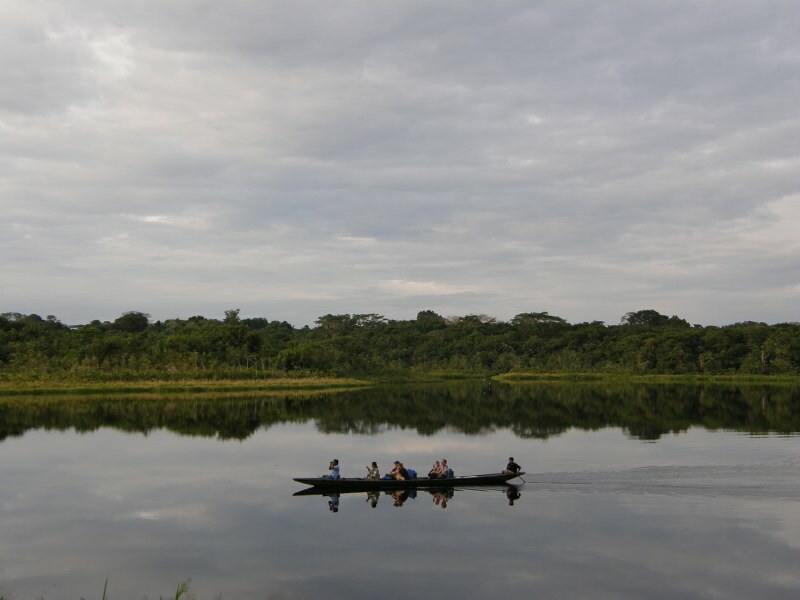 After a short drive to the dock, tourists board a large, motorized, covered canoe for a two-hour trip downriver. 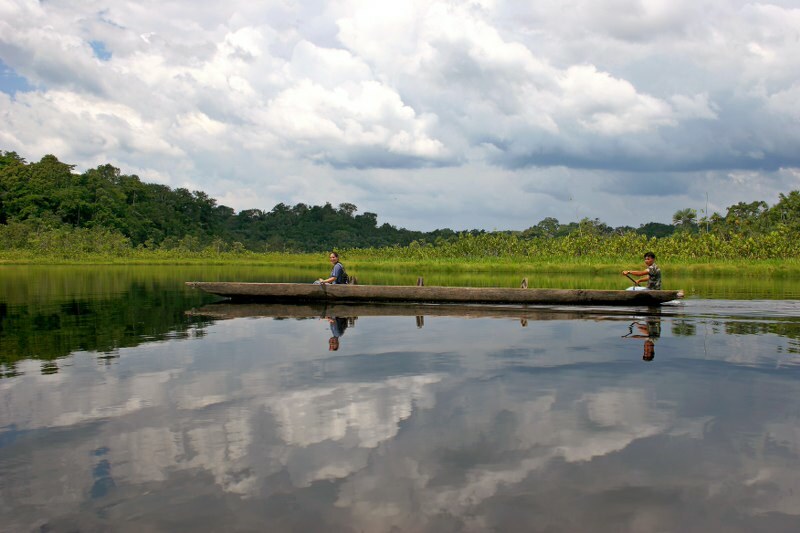 Upon arriving at the entrance of the Napo Wildlife Center Reserve, they transfer to smaller, dugout canoes up to the black water creek, to the lake, and lodge (no motorized transport is allowed on the creek or lake so that wildlife isn’t disturbed). 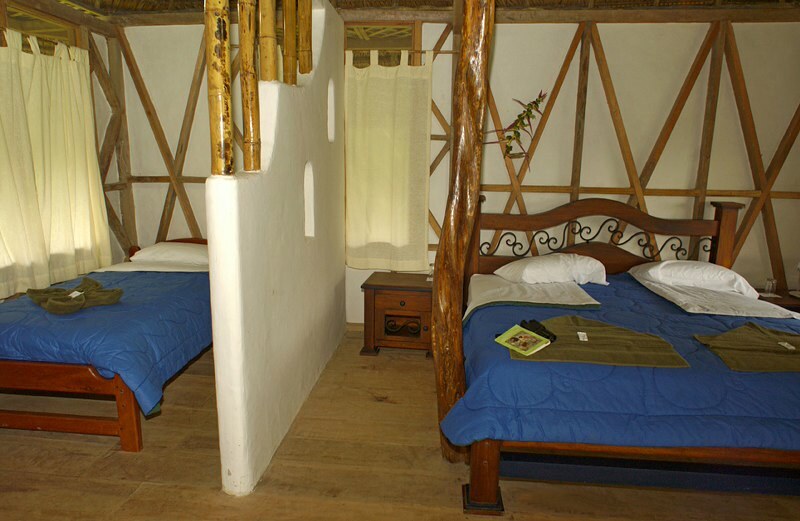 Ten huts offer a level of exclusivity unmatched in other jungle lodges providing guests with rooms meticulously equipped, which include one king size bed and one twin bed, private bathrooms with hot water, ceiling fans, and secure nets for bug-free ventilation. 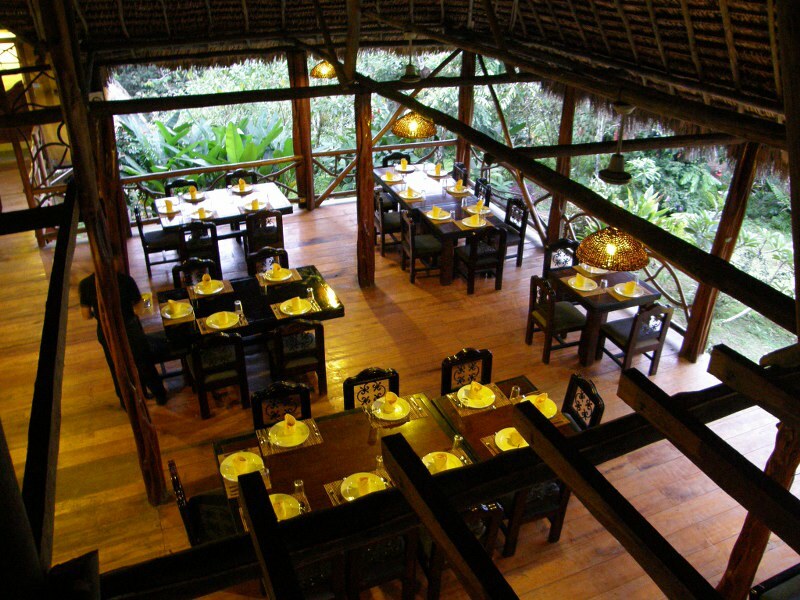 The dining facility is covered by a thatched roof and has an adjacent observation tower. Inside the facility is a modern kitchen with state-of-the art water filtration system, a large area for dining and relaxing while overlooking the lake. 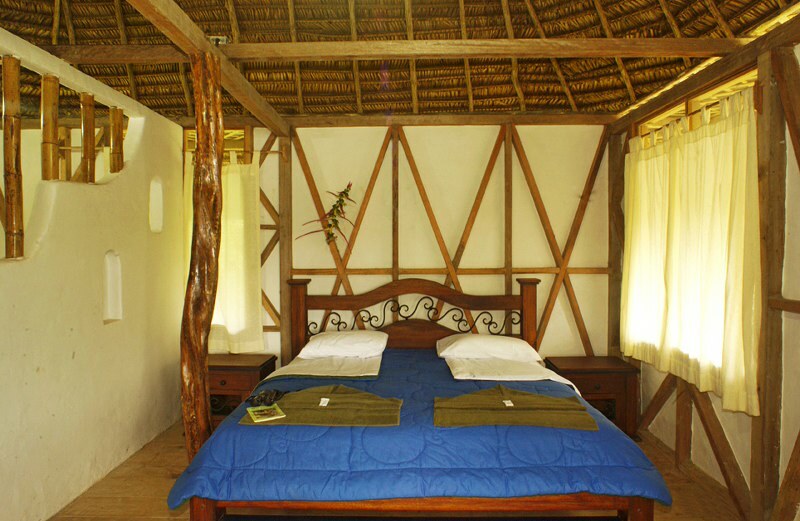 The Napo Wildlife Center mission was to design a facility that brings together luxury and environmental responsibility under the umbrella of an ethical partnership with a highly motivated and conservation-minded community. 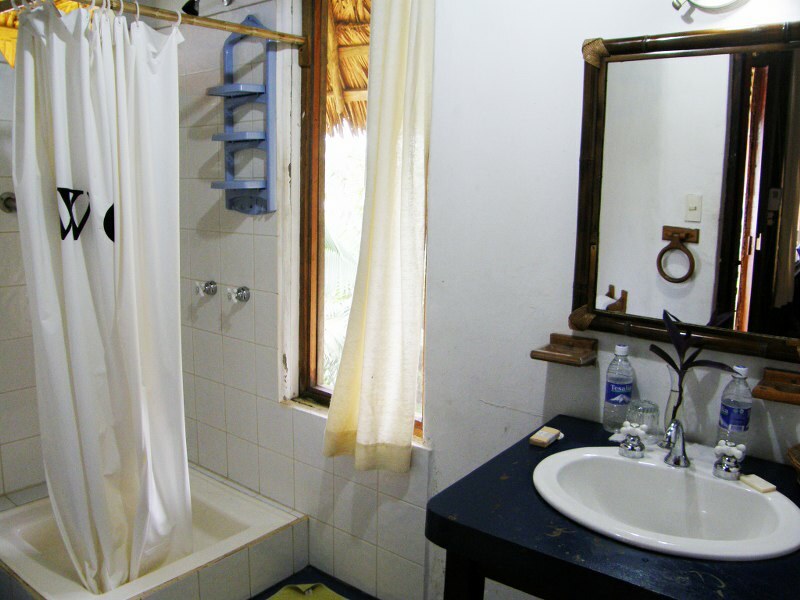 The lodge facilities are one of the most ecological in Ecuador. Electricity is produced through a hybrid system of solar power augmented by high-efficiency generators; wastewater is treated through man-made wetlands and emerges completely pure. 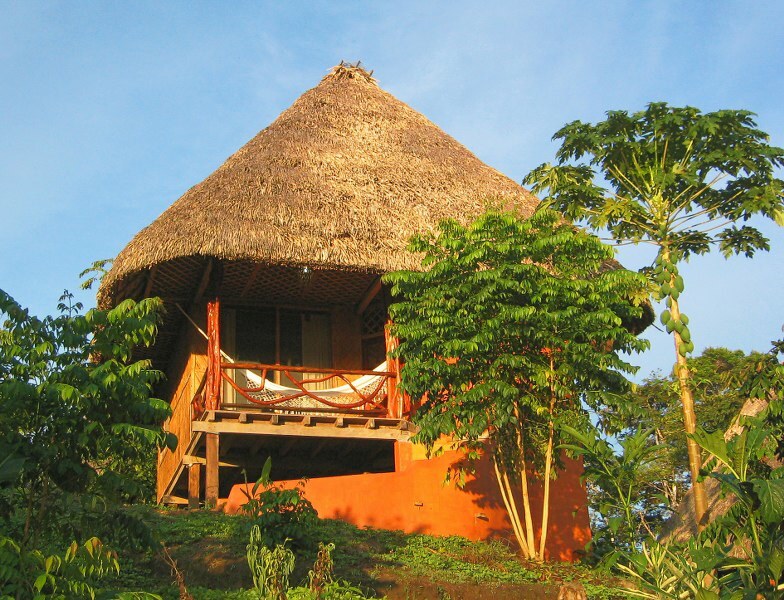 The lodge is located by the Anangucocha Lake. 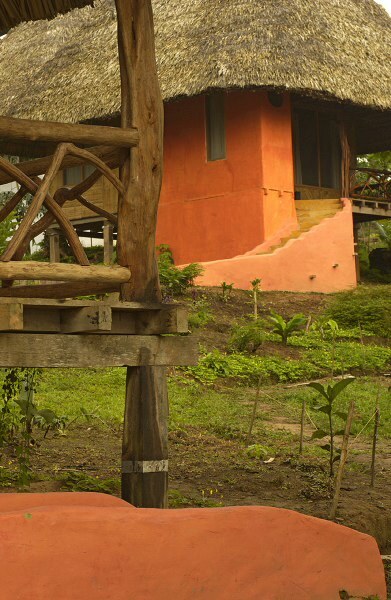 A facility that brings together luxury and environmental responsibility. Electricity is produced through a hybrid system of solar power and generators. 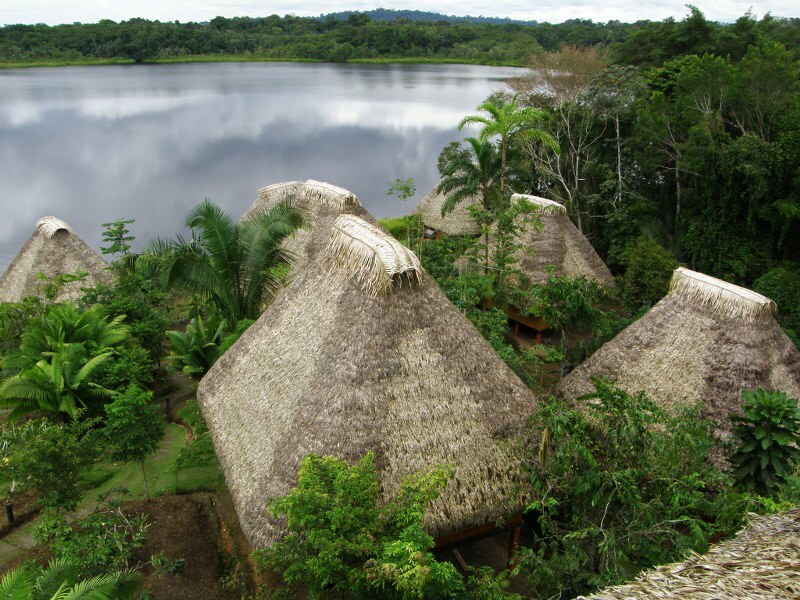 The lodge actively protects 82 square miles of pristine rainforest. 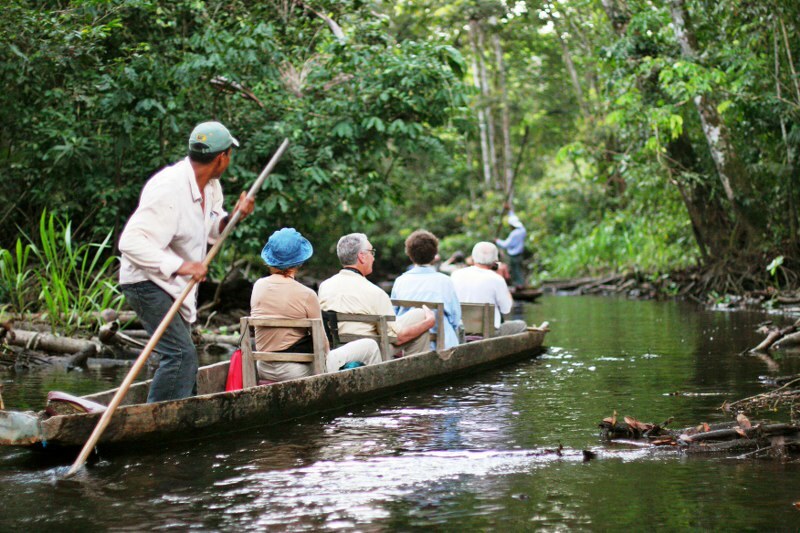 At the Napo Wildlife Reserve, visitors can see hundreds of parrots at the two parrot clay licks, giant otters in the lake and streams, eleven species of monkeys in the trees, and more than 560 species of birds in the forest, and all activities are supervised by bilingual guides explaining the intricacies of the rain forest and its inhabitants. 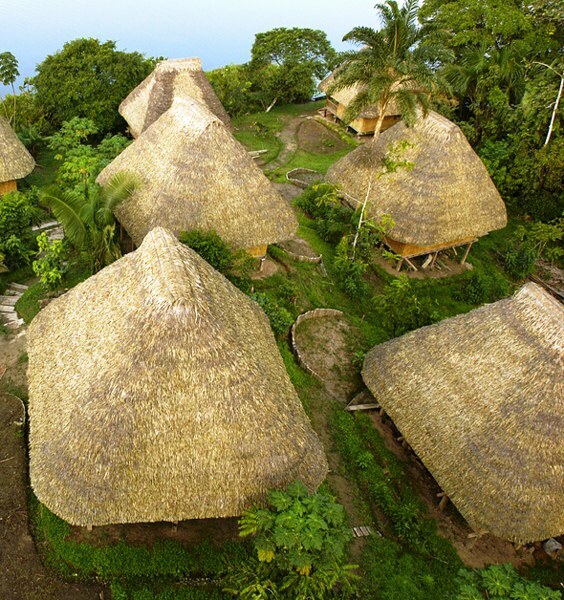 Napo Wildlife Center is the finest example of community-based ecotourism in the country and actively protects 82 square miles of pristine rainforest in its private reserve, based on a true conservation partnership with the local community. 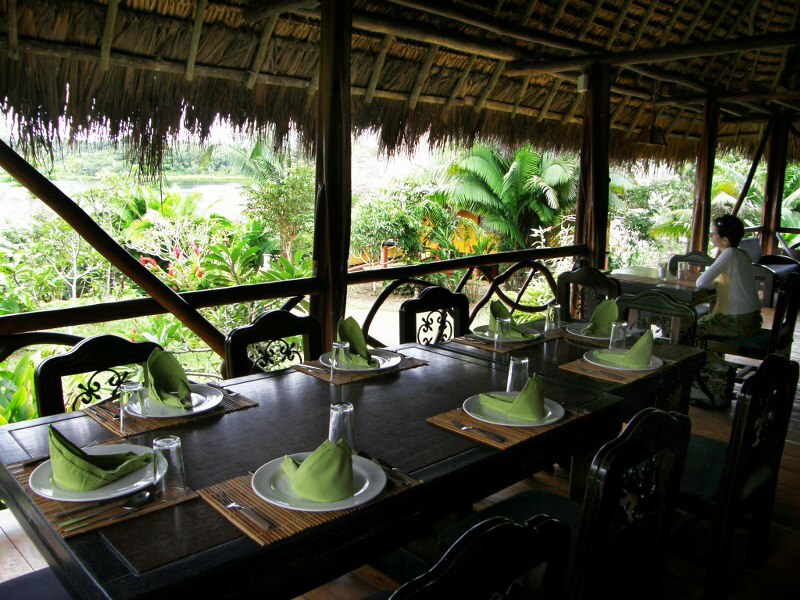 Napo Wildlife Center is the only lodge on the south bank of the Napo River, which harbors 30% more bird and animal species than the north bank. 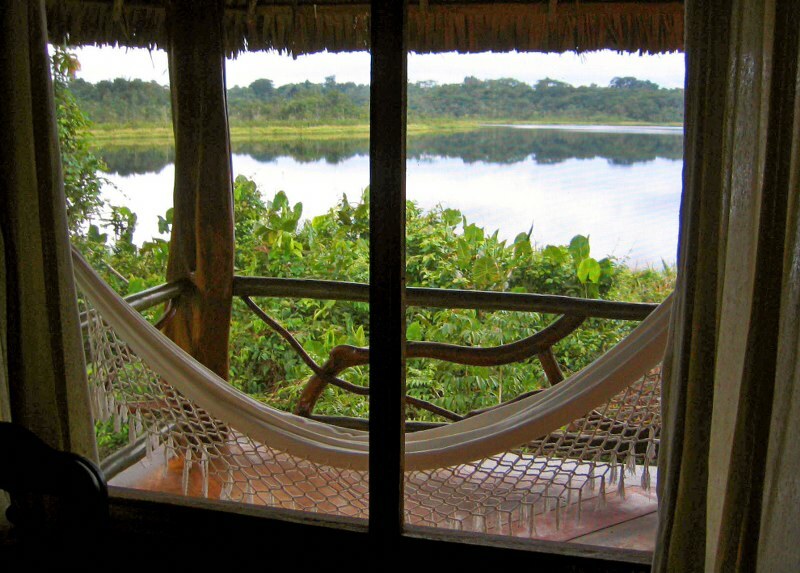 With parrot clay licks, giant otters, eleven primate species, and 568 species of birds, Napo Wildlife Center is undoubtedly the finest wildlife destination in Amazonian Ecuador. 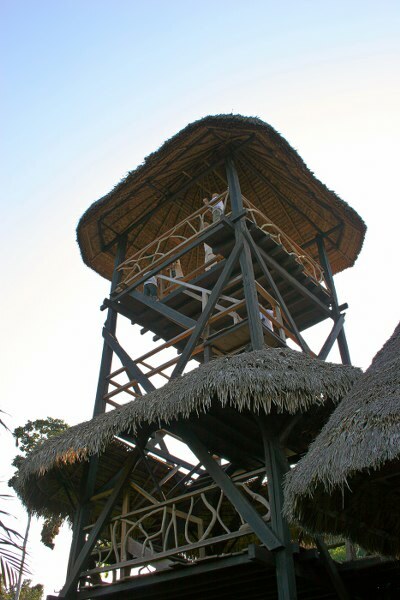 A must-visit attraction is the 120 feet high (36 meters) canopy tower located only 20 minutes away from the lodge. 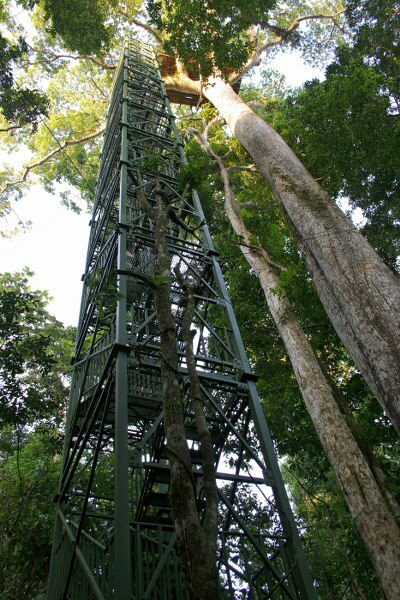 Ascending the sturdy, 12-story, galvanized metal tower allows tourists to pass through different levels of the forest and emerge on top of the canopy. 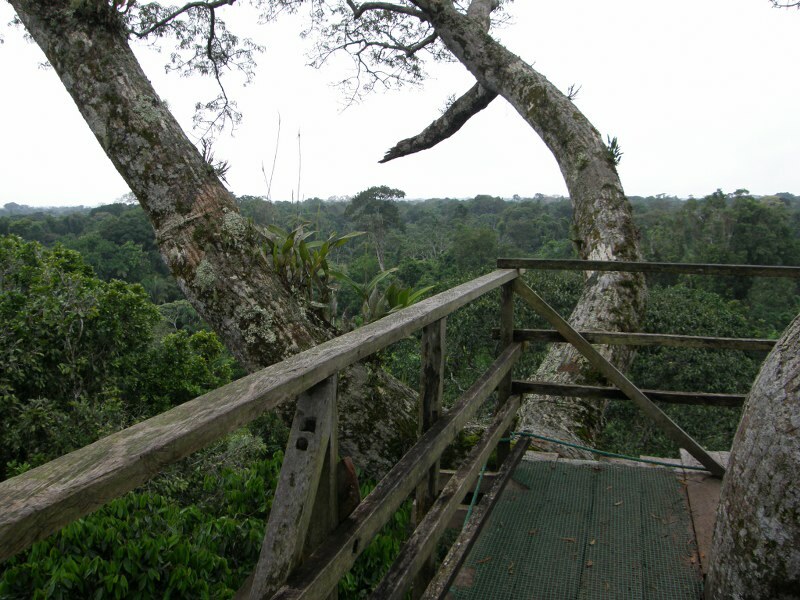 The platform is built into the crown of a huge emergent Ceibo tree, allowing its visitors to get a 360 degrees view over the canopy and unique sights of animals and birds invisible from below. 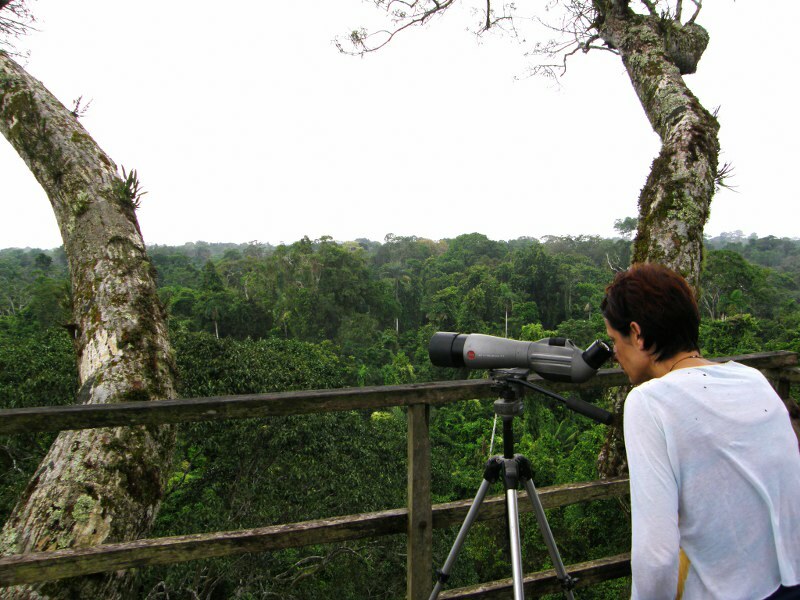 Carefully sited after studying the region, the canopy tower allows to observe Howler and Spider monkeys passing nearby, colorful tanager flocks passing right through the tree, Blue-and-yellow Macaws, toucans, and rare hawks and eagles. 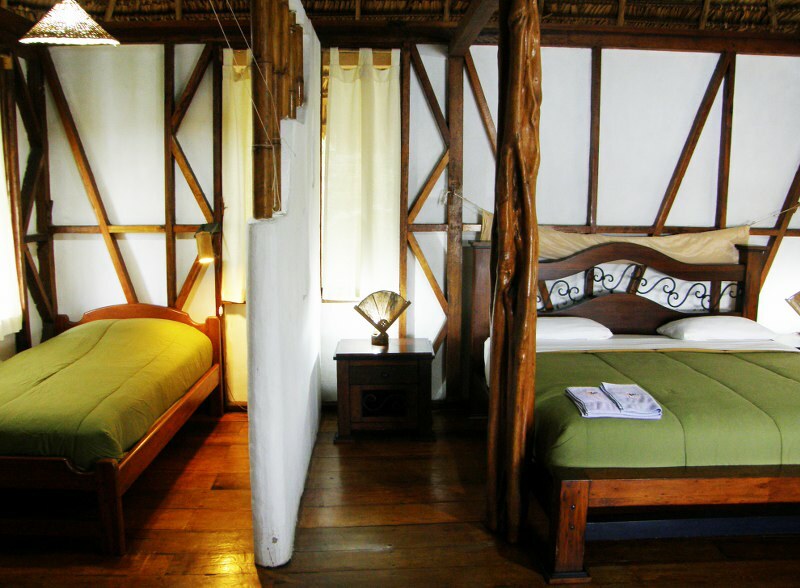 A visit to the comfortable Napo Wildlife Center is an unforgettable experience that directly protects both the community’s reserve and the unique Yasuní National Park. 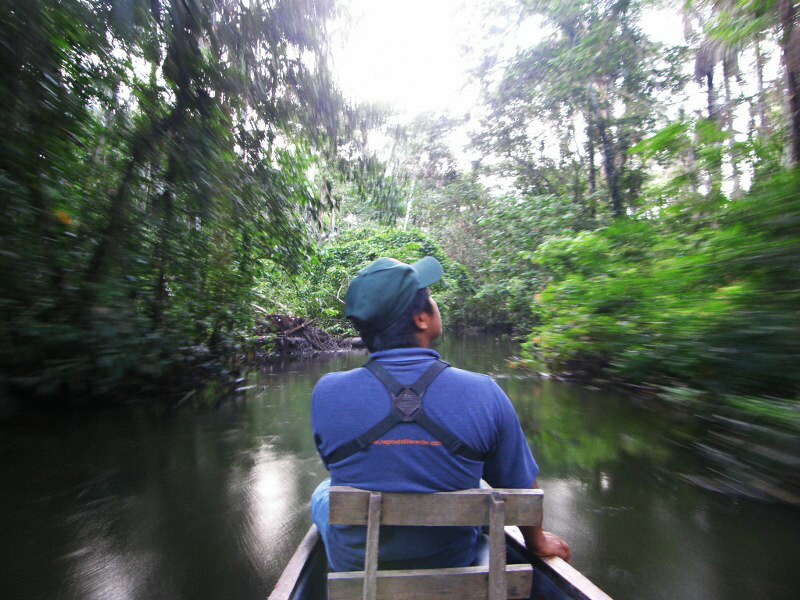 In addition to paying for the protection of the Reserve area, we also provide substantial support to the National Park.